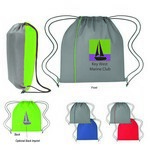 The drawstring bag or backpack is a simple and functional design, carrying what you need and then easily folded and stored when it's not being used. They're great as a simple promotional gift to customers since they all come imprinted with your brand or logo and come in a variety of colors and designs and they also make fantastic promotional swag bags at conventions and trade shows, especially when paired with some promotional pens, branded notepads or a water bottle with your logo on it. Give your customers a useful product that can hold all the essentials they need to tackle their day, with the non-woven Hit Sports Pack. 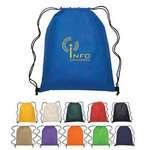 Screen print your business logo on the backpack and the recipients will be thanking you for the indispensable promotional item. 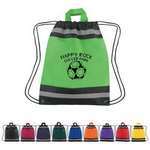 Enhance the youthfulness and energy of your brand by screen printing your logo on the Non-Woven Hit Sports Backpack. 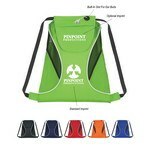 It is available in lime green, red, royal blue, orange, black, forest green, natural, or navy colors. 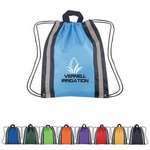 Enhance the youthfulness and energy of your brand by screen printing your logo on the attractive Non-Woven Two-Tone Hit Sports Backpack. It is available in several colors including lime green, red, khaki, royal blue, orange, black, forest green, yellow, or navy, all with black trim. The Ogio Sonic Sling Backpack has a padded sling shoulder strap for comfortable carrying across your body. Change the way you carry your backpack, as per your choice, by complementing its colors with your clothes, or your shoes or even by contrasting the two colors and create a unique look. The reversible sports pack is made from durable 210D polyester material. 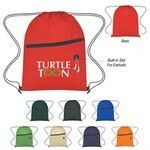 Our customizable drawstring backpack features a comfortable drawstring design and single logo imprint. Combine comfort, convenience, utility, and good looks while using the Small Non-Woven Reflective Hit Sports. Imprint your company’s logo using screen printing, to enhance your brand image. Reflect your brand on the minds of your customers by gifting them the Small Reflective Hit Sports Pack. 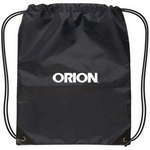 Screen print your company’s logo on the small bag, to get widespread recognition for your brand. The Soul Drawstring Sports Pack has a bright, sporty, and cool look. 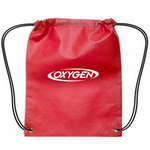 The drawstring bag is made from a combination of 210D polyester and Dobby non-woven material. Showcase your brand as youthful, energetic, and sporty with the Sports Pack with Clear Pocket. 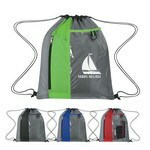 The sports bag is made from a combination of 210D polyester and PVC material. 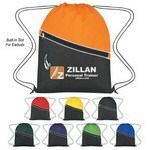 Add vim and vigor to your marketing campaign with the Sports Pack with mesh sides. 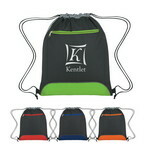 Add your company’s logo on the sports pack, using screen print technology, to get widespread visibility for your brand.